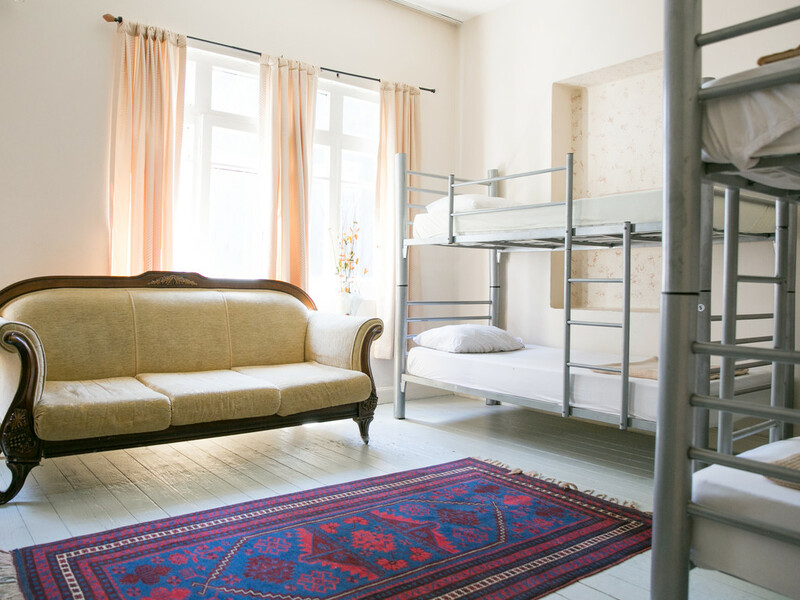 Welcome to one of Istanbul's most Original Hostels, welcoming travellers for over 7 years. Our aim is to provide you with a cheap, comfortable, safe and enjoyable stay, enabling you to meet other like minded travellers from around the world. We are only a 5 minute walk to Taksim square and Istiklal street, which has great cafe's, restaurants, shops and nightlife everyday. We are less than 10 minutes walk to the Airport shuttle, Taksim metro/bus, and Findikli tram station. We are just a 15 minute tram ride away from the old city. We provide a selection of rooms (14 in total with 60 beds) including private rooms wıth single, double, triple, and family optıons, and also dormitories with shared bathroom facilities. We recommend groups contact us prior to making any reservation, to enable us to help make your stay more enjoyable. Double room with king size bed, shared bathroom. Twin room with 2 single beds, shared bathroom. Triple room with 3 single beds shared bathroom. Family Room with 4 beds, shared bathroom. Mixed dormitory room with 6 beds, shared bathroom. Female Dorm with 6 beds, shared bathroom. Cheap,clean,comfortable and best location ever! We are only a few steps away from the most popular party street and Taksim Square, but still off on a quiet street without the hustle and bustle!